Some members of the Wakemans team are regularly out and about visiting construction sites so can spend a long time in the car hunched over the steering wheel. For others, the nature of their work means that it’s all too easy to become desk-bound, especially in the winter months when there is less incentive to venture outdoors. It is well documented that long periods of inactivity mean people can store up health problems in the future. Almost one in three British adults is currently considered to be obese and a study by University College London and pharmaceutical company Novo Nordisk (May 2018) suggests this figure is set to rise to 48% of the UK population by 2045 unless we take drastic action. The report also highlights that one in eight people is likely to suffer from Type 2 Diabetes, a condition exacerbated by being overweight and which currently costs the NHS around £10 billion per year. It takes between 10 and 15 years for an obese person to develop Type 2 Diabetes so, even if we all start eating less and exercising more right away, turning the tide is not going to be easy. Work can have a positive impact on health and wellbeing. Equally, healthy and motivated staff can enhance business performance, so it is in all our interests to share responsibility for wellbeing in the workplace. Our solution? We’ve teamed up with a qualified sports therapist who helps us to switch off, take a break from technology and keep active! 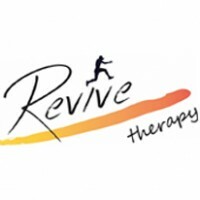 Jack Watson runs Revive Therapy and joins us in our Edgbaston office two days a week offering a range of treatments, including sports therapy techniques, massage and circuit training, as well as general advice on how we can improve our fitness levels. He also visits our Bristol office once a month and is currently planning regular support sessions with our team in Caernarfon. Wakemans employees are encouraged to book an appointment with Jack, who has a dedicated consultation room in our offices, to discuss their particular health queries. 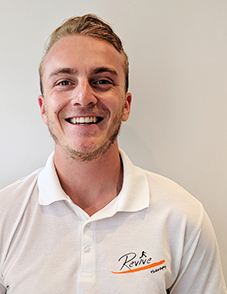 Jack also supports those members of staff who sustain aches and pains during the course of their sports activities and routine workouts, regularly treating tennis elbow and knee issues. Another aim of this initiative is to help employees deal with what they might view as a bit of a ‘niggle’ before it turns into a deep-seated health problem. The lower back, neck and shoulders are where people typically experience problems, so Jack provides massage, including trigger point therapy, to help alleviate the pain. He also gives us exercises, including stretches, to do at home to help bring about further improvements. A posture assessment is integral to any consultation as Jack is keen to check out potential pelvis misalignment or other issues that might be contributing to the problem. He also conducts 30-45 minute lunchtime circuit training sessions, including high intensity exercise and weights, to help staff lose weight, tone up and improve their general fitness. Wakemans finance director Michelle Woodhall is delighted with the support she’s received from Jack and says that making the time to switch off and get out of the office environment at lunchtime leaves her feeling re-energised for the rest of the day.